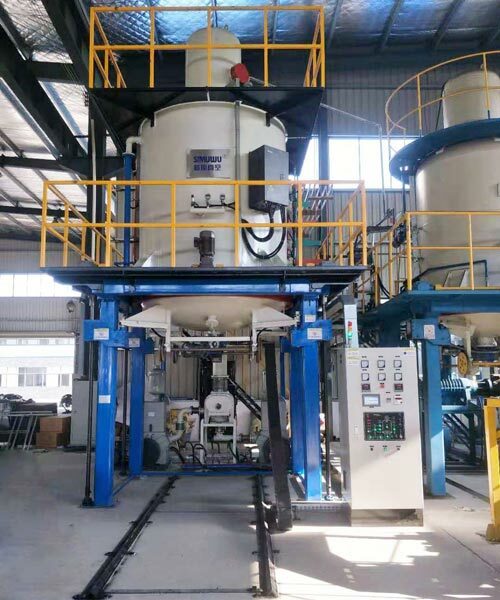 gas quenching furnace is a vacuum furnace, vacuum furnace is close to the vacuum state through the heating element of the industrial furnace. Vacuum furnace is very useful, the vacuum furnace as its most common one, mainly for the tool and die steel, high speed steel, stainless steel and other materials quenching; stainless steel, titanium and titanium alloy materials such as the solution treatment ; A variety of magnetic materials, annealing and tempering treatment; can also be used for vacuum brazing and vacuum sintering and so on. Heating element 360 degrees are uniform, high temperature uniformity. The equipment sub-hot room and cold room, high production efficiency, the use of low cost. Quenching oil tank installation agitator (adjustable speed), the workpiece deformation is small, uniform cooling, simple operation, the programming process can be multi-step input, mechanical action stability, manual / automatic control, automatic fault alarm / display.